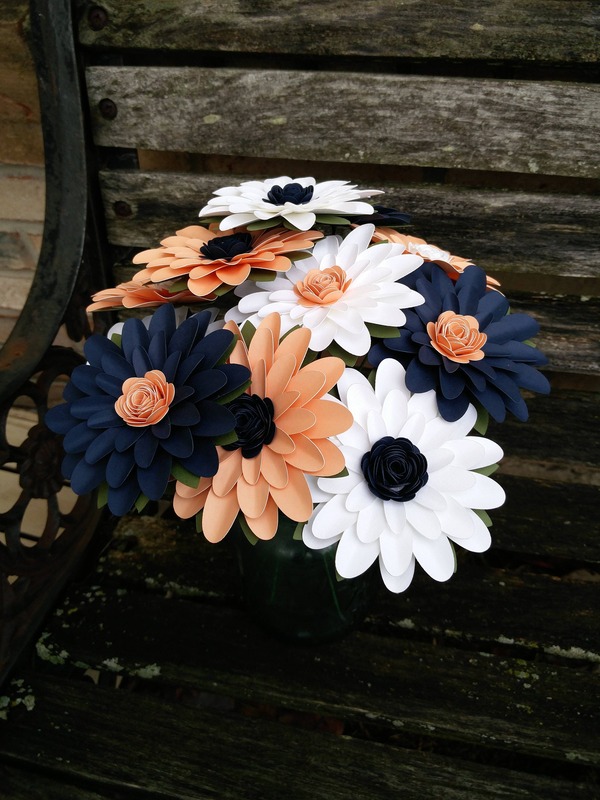 This bouquet of paper gerber daisies is the perfect gift! And you get to CHOOSE the colors. Choose as many as you like! 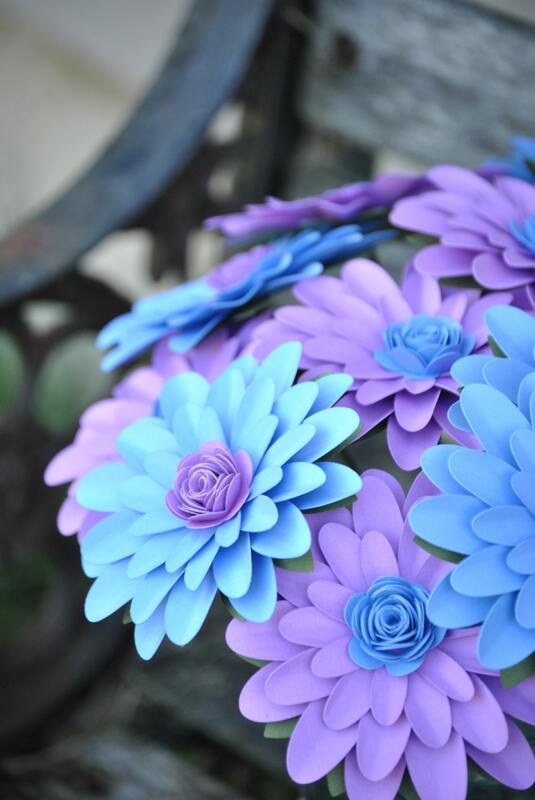 It is shown in medium lilac and light nautical blue. 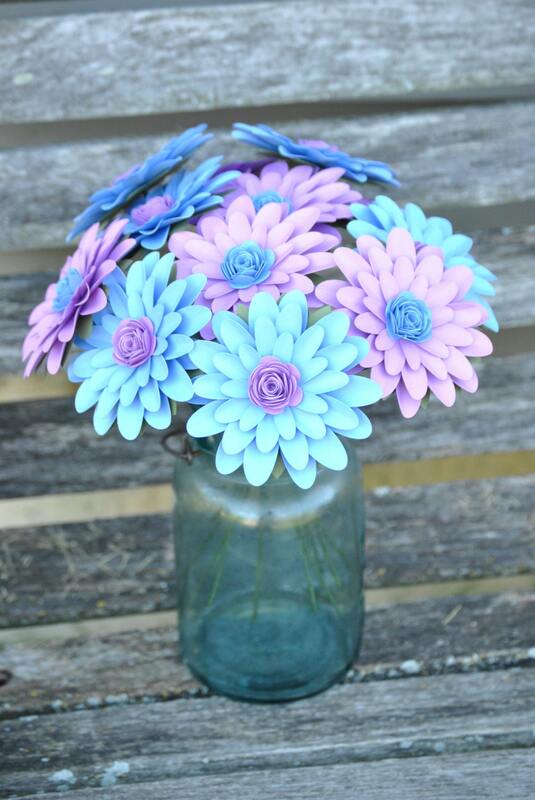 This gorgeous bouquet contains a dozen daisies and is completely made by hand. 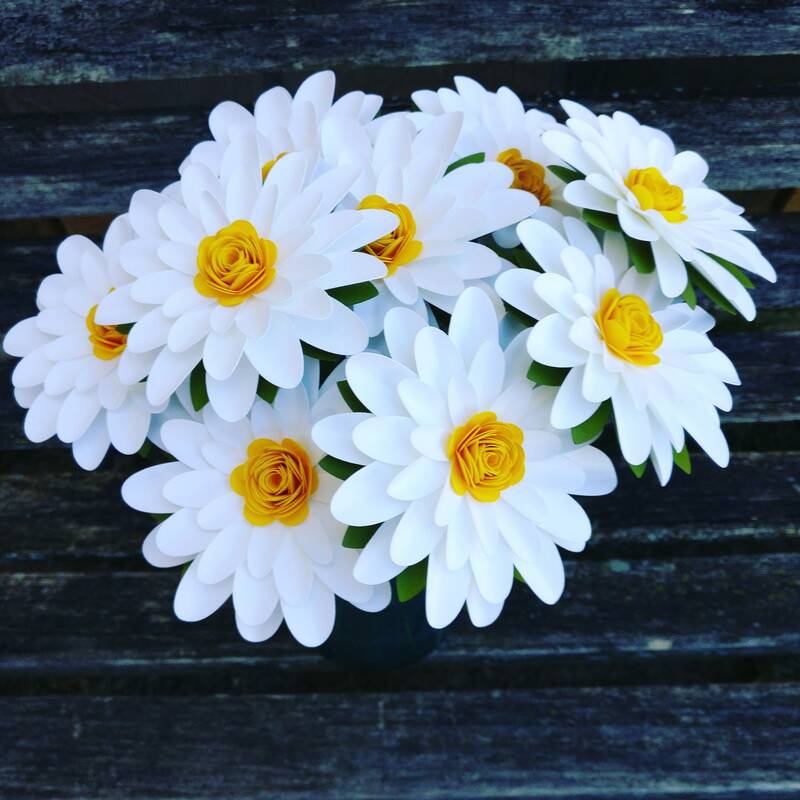 Each daisy measures about 4". 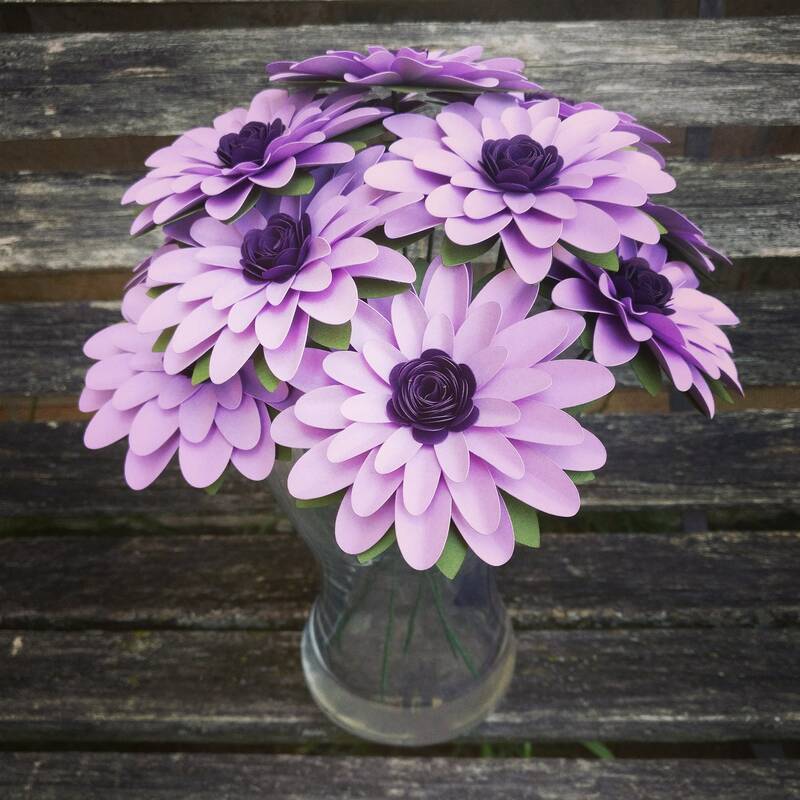 They have leaves on the back of the flower and are put on long stems, wrapped in green. 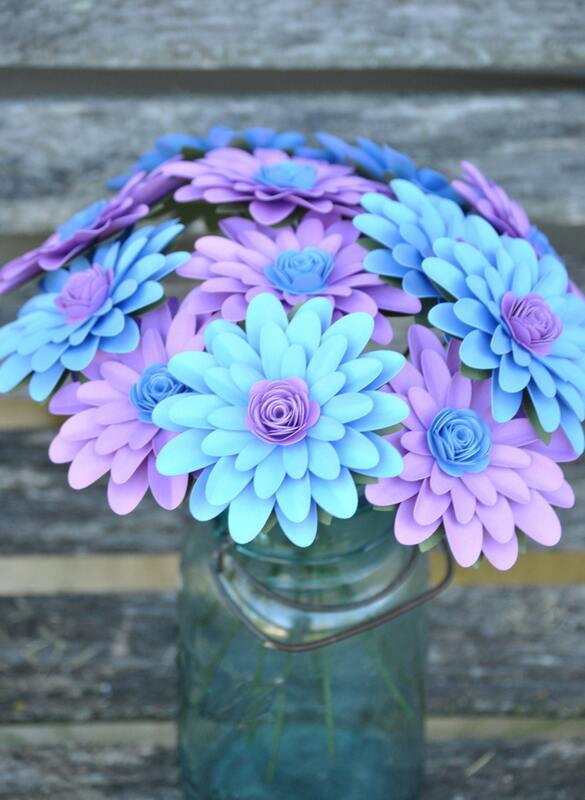 These make a great centerpiece for an event or a great decoration for any room or office! They also make great gifts.